The great white shark, also known as the great white, white pointer, white shark, or white death, can be found in the coastal surface waters of all the major oceans. The great white shark is notable for its size, with mature female individuals growing up to 6.1 m in length and 1,950 kg in weight. However most are smaller, males measuring 3.35 to 3.96 m and females 4.57 to 4.88 m on average. According to a 2014 study the lifespan of great white sharks is estimated to be as long as 70 years or more, well above older estimates, making it one of the longest lived cartilaginous fish currently known. 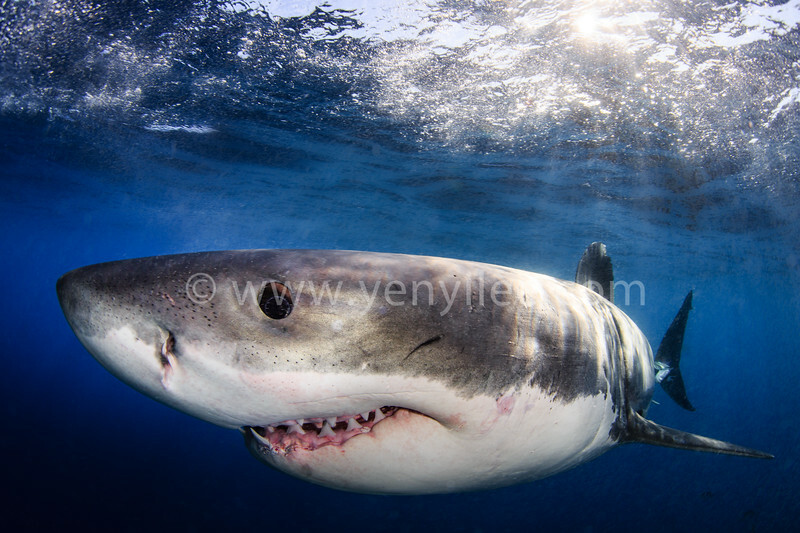 The great white shark is one of the primary predators of marine mammals. They have no known natural predators other than the killer whale. The IUCN list the great white shark as a vulnerable species.